India has traditionally been seen as a country that sends rather than receives international students, but a large number of students from elsewhere are now choosing to study in India, with the country welcoming more than 30,000 international students every year. Keen to study in India? Click on the tabs below for information about top universities in India, popular cities for students, and how to apply for a student visa. National official languages: Standard Hindi and English, but individual states have additional official languages. Around 12 percent of the population can speak English. You can’t work during your studies in India. Tuition fees start at US$3,300 per year. Major religions include: Hinduism, Islam, Christianity, Sikhism and Buddhism. Popular sports include: cricket, field hockey, football (soccer), basketball and tennis. India has its own space agency, and is planning its first manned space mission for 2021. Climate varies significantly from northern to southern India, but is generally split into three seasons: hot, wet (monsoon) and cool. India’s higher education system was ranked 26th in the world in the QS Higher Education System Strength Rankings 2018, and is especially well-known for the quality of its education in engineering and technology subjects, spearheaded by the Indian Institute of Science (IISc) Bangalore and the prestigious Indian Institutes of Technology (IITs). There are currently 23 of these, located around the country, focusing mainly on engineering, technology and science disciplines. A total of 75 top universities in India feature in the first ever QS India University Rankings, with mainly IITs in the top 10. Aside from the science and technology specialists, some of the highest-ranked comprehensive universities are the University of Hyderabad (ranked seventh in India), the University of Delhi (eighth), the University of Calcutta (11th) and Jadavpur University (12th). Part of the famed IIT group, the Indian Institute of Technology Bombay (IITB) ranks first in the India ranking and 162nd in the world, according to the QS World University Rankings® 2019. Despite its specialized focus, the Indian Institute of Technology Bombay also offers courses in a selection of arts and humanities subjects. 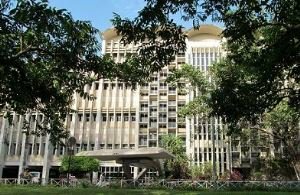 Located in the Powai neighborhood in the north-east of Mumbai (formerly known as Bombay), IIT Bombay is one of India’s oldest universities, established in 1958, and caters to around 8,000 students. 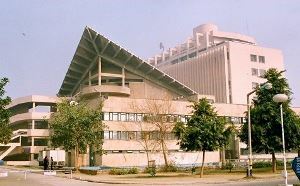 The Indian Institute of Technology Bombay is ranked internationally in a total of 17 subjects, with top 100 positions for computer science, several branches of engineering, materials sciences, and art and design. Another of India’s leading specialized public institutions is the Institute of Technology Delhi, often shortened to IITD, which ranks fourth in the India rankings and joint 172nd in the world rankings. Classified by the government as an Institute of National Importance, the Indian Institute of Technology Delhi has a current enrolment of about 8,000 students at its 325-acre campus in the south of the city. The Indian Institute of Technology Delhi is internationally ranked for 14 subjects, performing best (in the top 100 worldwide) for computer science, civil and structural engineering, electrical and electronic engineering and mechanical engineering. 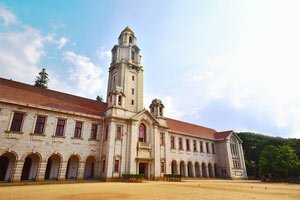 The Indian Institute of Science (IISc) is a public university ranked second in the QS India University Rankings and 170th in the 2019 world rankings. It also maintains a strong presence in the QS World University Rankings by Subject, ranking among the world’s top universities in 12 subjects. Of these, it performs best (among the top 150 worldwide) for materials sciences, chemical engineering and electrical engineering, mechanical engineering and chemistry. India is without question one of the world’s most culturally diverse countries. In terms of religion, Hinduism, Islam, Christianity, Sikhism and Buddhism are all broadly practiced. And in terms of language, it’s difficult to imagine greater diversity – hundreds of dialects are used, and the 2001 census identified no less than 26 different mother tongues with more than a million speakers. As a student, you're likely to be based in one of India’s major cities – find out more below. It’s fair to say that Delhi has a reputation for being a little overwhelming. The governmental capital, New Delhi, is just one part of this sprawling metropolis (the largest by area in India, and among the largest worldwide) in the north of the country. However, it’s also widely agreed that exploration more than pays off. 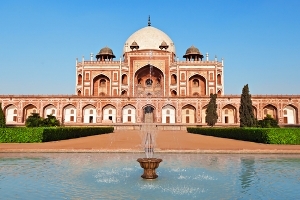 Delhi is packed with Indian culture both old and new, from 17th century mosques to the more contemporary but equally impressive Lotus Temple, and magnificent Mughal-era monuments to bustling modern-day marketplaces. 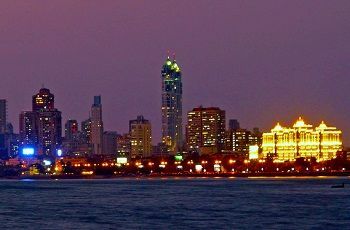 Whatever you’re into – architecture, clubbing, food, art, live music – Mumbai has it all, including a good selection of higher education providers. Colleges and universities in Mumbai include the University of Mumbai, Indian Institute of Technology Bombay, Veermata Jijabai Technological Institute, SNDT Women’s University, the National Institute of Industrial Engineering, Jamnalal Bajaj Institute of Management Studies and S P Jain Institute of Management and Research. 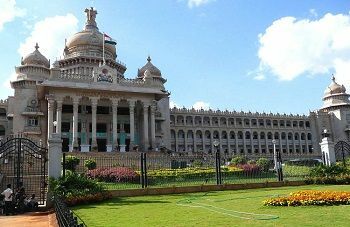 Third most populous city Bengaluru (formerly called Bangalore) is the capital of the state of Karnataka, towards the south of India. It’s probably best known as the hub of India’s booming information technology sector, and its high concentration of tech companies has earned it comparisons to the US’s Silicon Valley. Culturally it may not be able to compete on the same scale as Delhi or Mumbai, but Bengaluru does have its own film industry, a vibrant live music scene (from classical Indian to modern-day rock), and more than enough restaurants, bars and festivals to keep most people busy! The city also has a strong higher education sector. Universities in Bengaluru include Bangalore University, the Indian Institute of Science, the Indian Institute of Management Bangalore, and smaller research-based institutes such as the International Institute of Information Technology Bangalore and the National Centre for Biological Sciences. To apply for either an undergraduate or postgraduate program in India, you could apply directly to your chosen university via the official website, well in advance of the start date for your course. Alternatively, undergraduate and postgraduate engineering, architecture or planning students can apply to selected National Institutes of Technology and other centrally funded universities using the Direct Admission of Students Abroad (DASA) scheme, a centralized admissions service for foreign students to apply to more than one Indian university at the same time. Under this scheme, only students who will be 25 or under at the start of their course are eligible to apply for undergraduate admission; there is no age limit for postgraduate studies. For both undergraduate and postgraduate studies, you’ll need to pay an application fee (currently US$4,300) which goes towards your university’s non-refundable registration fee ($300) and the tuition fees of the first semester ($4,000). 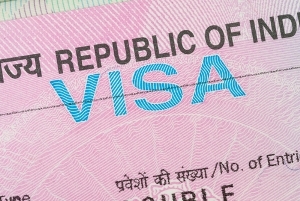 Foreign nationals from other South Asian Association for Regional Cooperation (SAARC) countries such as Pakistan or Sri Lanka are eligible for a 50% tuition waiver in the DASA scheme, provided they’ve passed the admission test in their home country – meaning they will also pay half of the application fee. Tuition fees vary, as Indian universities set their own fees, but you could study a degree for as little as US$3,300-7,800 a year at an Indian Institute of Technology. 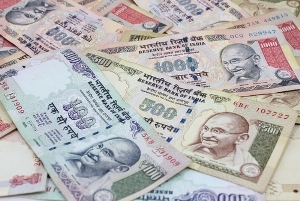 Living costs in India are extremely cheap compared to most other countries, with a three-course meal unlikely to cost more than the equivalent of US$10, while local transport can cost as little as 30 US cents one way. Many universities provide low-cost student accommodation, but you can also rent off-campus fairly cheaply if you’d prefer, with a one-bedroom flat in a large city such as Mumbai likely to cost about US$500 a month. It’s possible to live as a student on as little as US$4,600 a year, but you may wish to budget more depending on your lifestyle and spending habits. If you hold an Overseas Citizen of India (OCI) Card, you are able to study, work or conduct research in India without a student visa. Residents of Nepal and Bhutan can also study in India without a visa (unless entering from China). However, most people planning to study in India will need to apply for a student visa and pay the appropriate fee, which varies by country. Student visas for India are issued either for the duration of your course of study or for a maximum period of five years. Visas issued for less than five years can be extended with permission from the local FRRO (Foreigners Regional Registration Office). You may also alter your course of study and/or the educational institution if circumstances are deemed sufficient. You should apply for your student visa through your nearest Indian embassy (find yours here) or online. You first need an offer of admission to a recognized Indian educational institute. This may mean you first have to take an entrance exam. Student visas only permit students to change either their course or institution with specific permission from the FRRO (Foreigners Regional Registration Office). As part of the visa application, the details of your course and place of study must be included. In cases where a letter of admission is not available, a provisional student visa will be issued. However, admission must be confirmed within a period of three months, otherwise the candidate will not be allowed to remain in India. Applicants must also submit supporting documentation, including a current and valid passport, with a minimum of six months validity and at least two blank pages. Applicants enrolling on a medical course of study must obtain a letter of approval, or a no objection certificate, from the Ministry of Health in India. Applicants for courses in engineering or at technical institutions in India must obtain similar authorization from the Department of Education. Student visas cannot be obtained by those already in the country on a tourist visa or any other visa type. 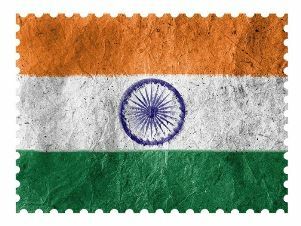 Government rules state that all international students entering India on student visas must undergo a medical examination and obtain a medical fitness certificate. Students will also need to be tested for HIV, and admission will not be granted if results are positive. You will also be required to pay US$50 to cover medical fees, which includes insurance cover for the first year. If you’re residing in India on a student visa, you will not be allowed to work during your studies. If you want to find work in India after graduating, you’ll need to apply for an employment visa.